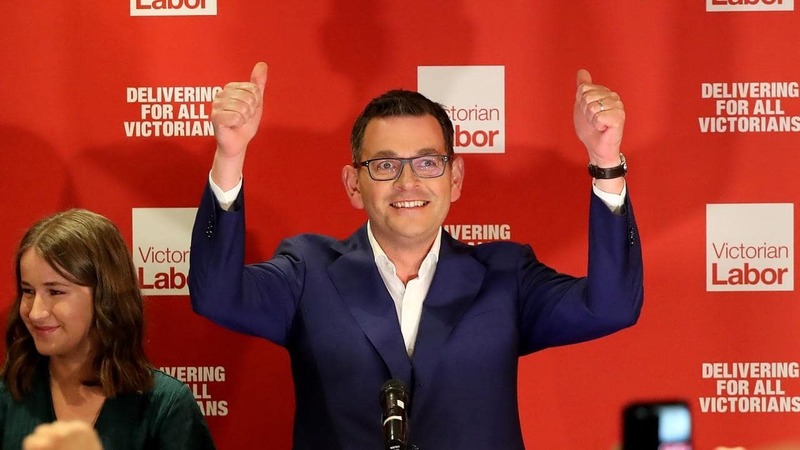 The re-election of the Andrews Government on Saturday 24 November concluded a long election campaign where health and infrastructure were central issues. Throughout, AMA Victoria advocated strongly with some excellent results. I’d like to extend my thanks to all members who participated. Powerful advocacy relies on high-level and meaningful engagement with our members. Some members contributed their insights and ideas to shape our policy platform; others shared their stories and experiences to help build our media campaigns; and a number of members gave media interviews. Thank you very much for your contributions to our 2018 advocacy campaign. I am very confident we will build on this work and continue to engage the Government successfully together throughout 2019. One outcome of which we are very proud is the Andrews Government’s pledge to provide $1.5 billion in new funds for a redevelopment of Footscray Hospital. This issue was raised with the Government and a strong media campaign was led by AMA Victoria. We were also most encouraged by other initiatives. The first was the additional support we received from the Health Minister for the Victorian Doctors Health Program, with an additional $172,000 provided for doctors’ health and wellbeing for the forthcoming year. The Premier pledged to establish a Royal Commission into mental health services within 100 days of being re-elected. This is a positive outcome but AMA Victoria is concerned that chronic underfunding and gaps in the state’s mental health system must be addressed now and cannot wait for the recommendations of a Royal Commission in two years’ time. In two articles with The Age, AMA Victoria drew attention to ongoing problems with the state’s struggling crisis assessment teams and highlighted the need to bridge these service gaps now. AMA Victoria will continue to advocate for a further commitment from the Government to fund public psychiatry outpatient services in order to assist the “missing middle” for whom there are few options between seeing a GP and public hospital emergency departments. $562 million for Frankston Hospital with 120 new hospital beds, two new operating theatres and an additional 13 new emergency department beds, as part of an 11-storey redevelopment. Additional funding for regional health infrastructure, including $100 million to redevelop the Maryborough Hospital and $100 million for a new women’s and children’s hospital in Geelong. $62.4 million to build five new flagship children’s ED’s at Geelong, Maroondah, Casey, Frankston and Northern hospitals. $2.3 million for planning work to explore a new public hospital at Melton. An additional $1.38 billion for staff expansion that includes funds for additional rural specialist consultations, including 75,000 for heart conditions, 50,000 for chronic pain, 40,000 for cancer sufferers and 30,000 for rheumatology. A commitment to continue the trial of the medically supervised injecting facility in North Richmond. A renewed focus on bullying and harassment of medical staff including a comprehensive education campaign in the public hospital sector. $232 million to provide more maternal and childhood nurses, help build seven new early parenting centres, refurbish two more and find more home support for families, and $32 million for public IVF services for low-income couples struggling to conceive. Following calls from AMA Victoria, the Liberal-Nationals promised to implement a new way of reporting elective surgery wait times, measuring from the point of referral from a general practitioner to treatment (referral to treatment or RTT). AMA Victoria will continue to advocate to the Government for this change to be accepted and implemented over the next parliamentary term. Throughout the election campaign, AMA Victoria also highlighted the central role that rural and regional GPs play in our healthcare system; especially their role in reducing preventable disease in both children and adults who live in the country. However, despite the Rural Workforce Agency revealing that many GP positions remain unfilled across rural Victoria, and despite AMA Victoria highlighting a declining life expectancy in some regions, we are disappointed neither the Government nor the Opposition agreed to support any subsidies for GP training or provide any plans to assist GP services in rural and regional areas. This is a lost opportunity to support the health of rural Victorians. AMA Victoria was critical of a Liberal-National proposal to close the supervised injecting facility in North Richmond. Despite the injecting room enjoying broad support from locals and successfully treating 320 overdoses, including 61 life-threatening ones, it was surprising that the Opposition would ignore the growing evidence of harm minimisation and undertake to abandon the trial. We areconvinced that this initiative is saving lives and assisting people who would otherwise be at the margins of society. As a further note, we wish to advise that we are seeking member consultation on proposed changes to our constitution. Members will recall that a consultation related to the revision of the AMA Victoria and Medical Society of Victoria Constitution was to begin within six months of our last AGM. Consequently, the governance committee of the Board would appreciate suggestions from members and would ask that all such suggestions be directed via email to our Chief Executive Officer at ceo@amavic.com.au. Additional opportunities for consultation will be provided via Council and member meetings to be scheduled in 2019. Finally, on behalf of AMA Victoria, I would like to wish you and yourfamily an enjoyable and refreshing festive season and asuccessful 2019. I extend my gratitude to members for their ongoing support of our association and thank our Board, our Council, our new CEO and our management team and staff, who have againenthusiastically contributed to the success of AMA Victoriaduring 2018. We remain fortunate to have such a fine anddedicated team to support and promote the health of our community and the interests of the medical profession in Victoria.